Huawei is a brand that is well known in India for its many data cards models & smartphone. It is great brand and also it is a trusted brand. Huawei E8372 is a 4G LTE supported data card that supports 4G only. 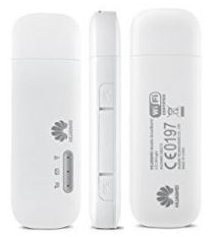 Huawei E8372 is a 4G LTE supported data card that supports wifi hotspot connecting up to 10 devices. Wifi - Hotspot supported connect up to 10 devices.